The Maryland Energy Administration (MEA) encourages clean energy technologies in all sectors of Maryland’s economy and offers multiple programs that support electric vehicles (EV) and support ways to diversify the transportation fuel mix used by our local communities, residents and businesses. Alternative Fuel Infrastructure Program (AFIP) aids in the development of alternative fuel refilling/charging infrastructure in the state. Over the past two years, the AFIP has helped to displace an estimated 10 million plus gallons of petroleum. To read more information about all our transportation specific grants click here. 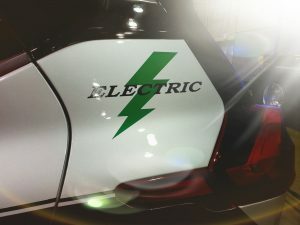 Here is some information on the features of EVs MDEV Sheets and model comparisons EVInfoSheet-20180403. 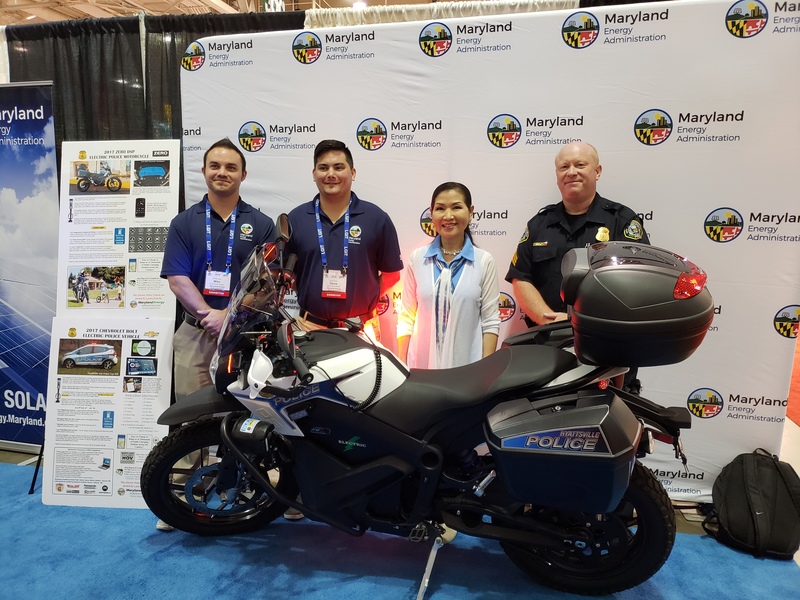 Pictured above is Maryland’s First Lady Yumi Hogan with two of our own MEA program managers and Sgt. 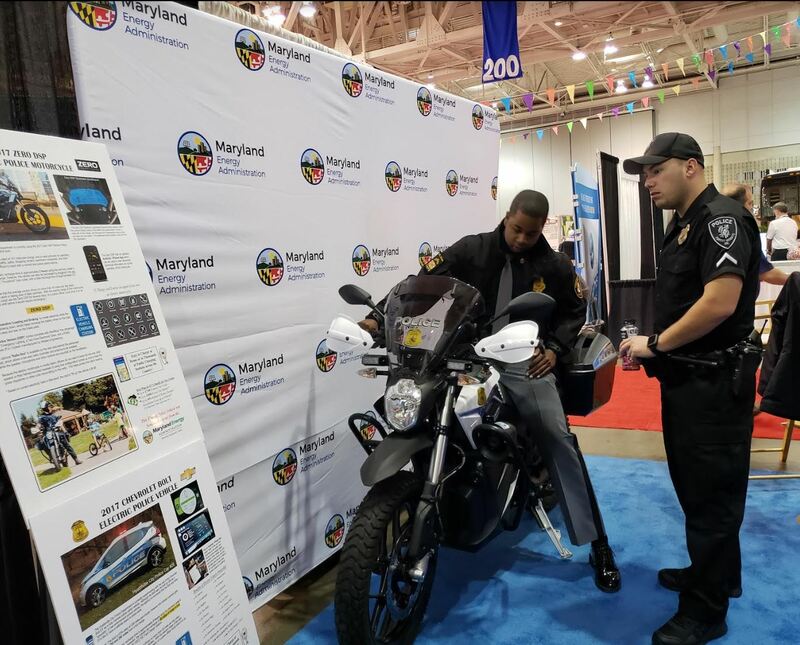 Richard Hartnett of the Hyattsville Police Department with the department’s all electric motorcycle. The purchase of the motorcycle was made possible in part by a Maryland Smart Energy Community (MSEC) Grant. 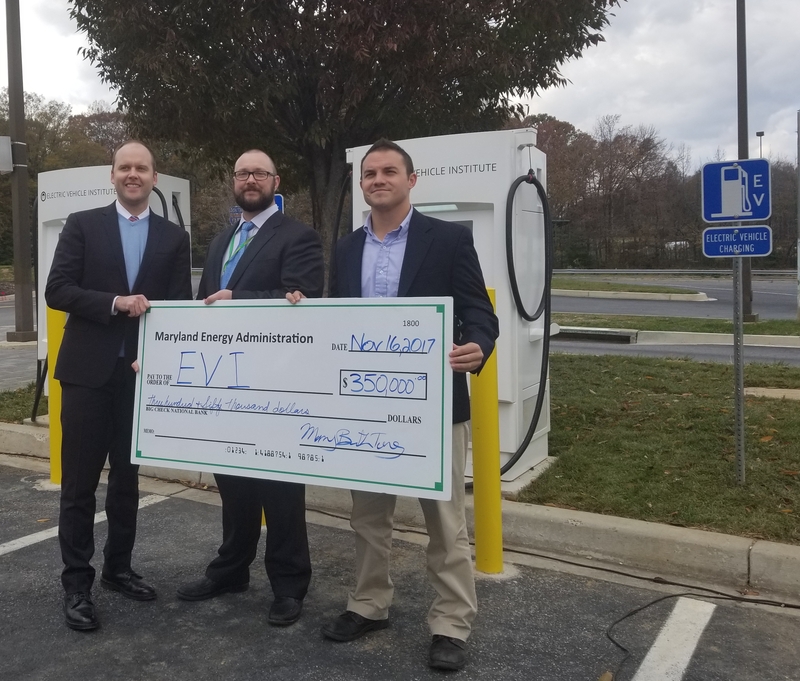 The City of Hyattsville has been a Maryland Smart Energy Community since 2013, adopting the energy efficiency and petroleum reduction goals. In 2017 Hyattsville received an MSEC award for one all electric 2017 Chevy Bolt and one all electric Zero Motorcycle. Both of these both used as marked police vehicles. 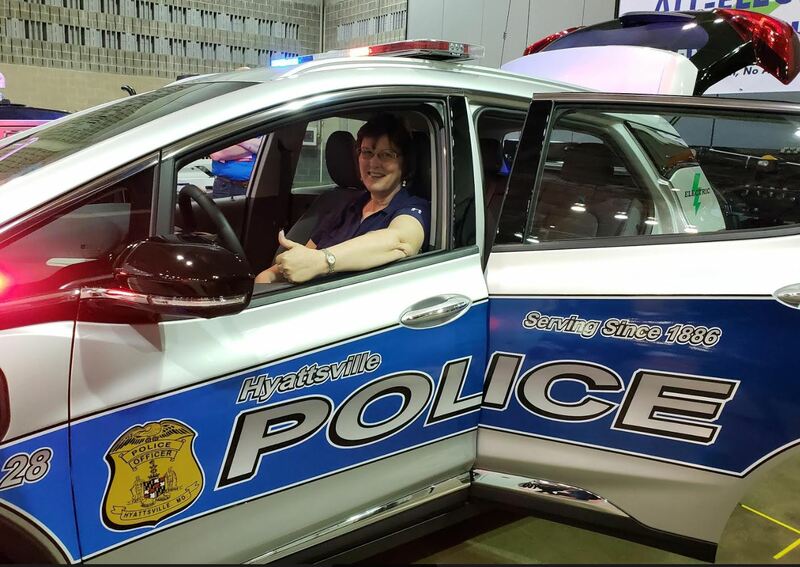 You can read more about the Hyattsville Police Department’s electric vehicles here. 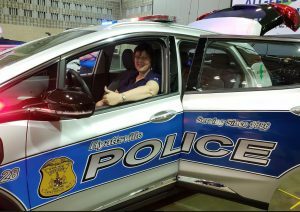 Hyattsville is a national EV trendsetter with the first marketed police car Chevy Bolt in the country. Chevy is now utilizing data from Hyattsville to help launch a line of Bolt’s specifically for patrol cars. Read more about the transformation of this car in Chevy’s New Roads magazine under “A Bolt EV from the Blue”.